Studying How The Blind Perceive Race : Code Switch Social practices train us to see and experience race in certain ways, regardless of whether we are sighted or not, according to a professor from the University of California, Hastings College of the Law. A biopic about the musician Ray Charles, who became completely blind by age 7, inspired Osagie Obasogie to research how blind people 'see' race. Law professor Osagie Obasogie walked into a movie theater to see "Ray," a biopic about the musician Ray Charles, and walked out with a question that would drive eight years worth of research. 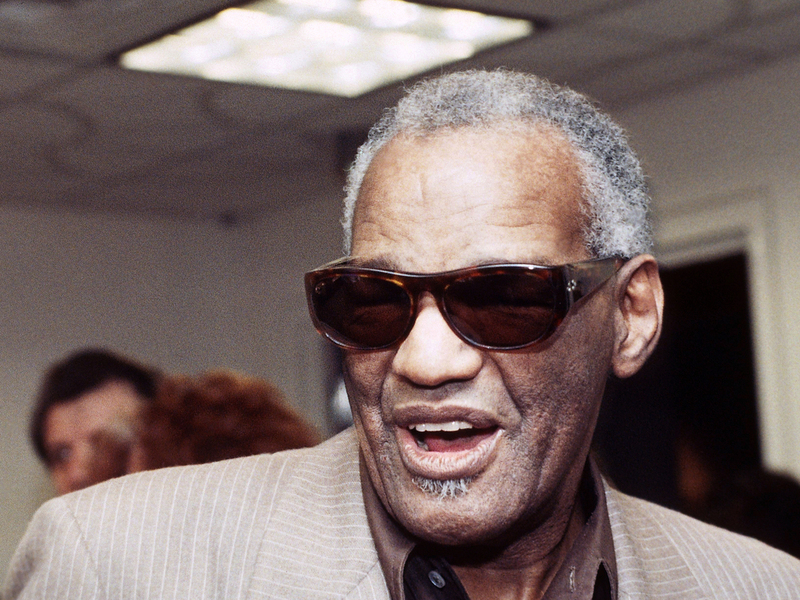 "I was really struck by how Ray Charles had this really interesting understanding of race throughout his life even though he was blind throughout his early childhood," says Obasogie, who teaches at the University of California, Hastings College of the Law. "I just wanted to learn more about how blind people understood race. I never had thought about it." Obasogie started by interviewing 110 individuals who were blind since birth. His full research on the topic will be published in a book, Blinded by Sight: Seeing Race In The Eyes Of The Blind, that hits shelves in November. The professor mentioned that some of the individuals he interviewed took offense at the notion that sighted people would think blind people are unaware of race. And that not being aware of race somehow made blind people morally superior. Race factors into so much of our everyday lives, but as the professor discovered, it can mean even more to those for whom skin color isn't readily apparent. Beth Rival, president of the Connecticut affiliate of the National Federation of the Blind lost her sight at age 19. "You know, sometimes we're more sensitive [to differences in race]. It doesn't matter to me if someone's black or orange or whatever. It never has, except I did grow up where my parents were in a white neighborhood ... but those prejudices are with you depending on where you grow up." "What mattered to blind people most was the very trait that they could not directly perceive," said Obasogie. "And the reason why it mattered to them so much was because they were part of the social process and part of the social influences that teaches us to treat these differences as particularly important." Obasogie hopes that his research will debunk the notion of color blindness as applied to race. That is, the belief that race isn't a social or political issue, rather, it is something we see and is merely skin-deep. "The idea of color blindness as a metaphor plays upon a certain assumption on what race is and how it plays out in the blind community," Obasogie said. "So it's a metaphor that suggests that those who are blind or can't see race necessarily, kind of live in this racial utopia where they don't have to deal with this messy world of race because of their blindness." This racial utopia, Obasogie argues, doesn't exist. Color blindness, Obasogie says, pointing to affirmative action debates, is the predominant way in which courts talk about race. For the law to be fair, it should be blind to race. 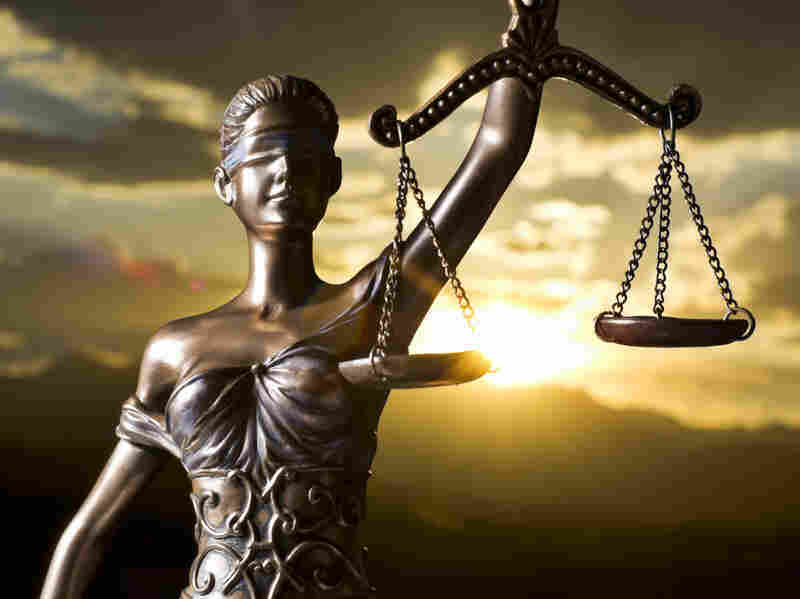 Think of the blindfolded Lady Justice holding her scales. Race impacts all relationships, but it does so in surprising ways when skin color can't be seen. "He was going to college and he had started working with a reader. She was very attractive to him, and he started seeing her. Then, somebody told him that she was black, and he broke it off. He broke off the relationship. He justiﬁed it by saying that it would not have worked, in the South, for a white man to be involved with a black woman." "A lot of my black blind friends have sort of a joke because when someone doesn't know our race — especially the males — they'll ﬁnd some way to reach out and touch our hair. ... People always come up with some kind of way to [touch our heads]. They'll massage you or do something ... I think [this happens] mostly in dating. You know, if they're going to make some decisions. I've seen people that seem sort of interested in someone and then discover that they're black and change their intentions. I go to a lot of the conventions now, the national conventions [for the blind]. And there are people trying to meet somebody [to date]. You can see that they're kind of pursuing somebody [that they ﬁnd attractive]. And they'll go for the hair and then they'll change their mind. They're always still friendly ... but you're black." Obasogie considers voice and accent to be "secondary measures" that help clue a blind person in on someone's race. The professor found that while some of the people he interviewed said they relied on voice to determine a person's race, it wasn't always accurate, which could lead to some interesting situations. Trying to play guess-the-accent can trip you up. But combining that with other senses, Obasogie said, like touch — for example, feeling differences in skin or hair textures — might help someone who is blind conjure a better sense of another person, almost a visual sense. It's easy to understand that the notion of how blind people see race could prompt all sorts of interesting questions about what race means. Consider Dave Chappelle's "Blind Supremacy" skit from 2003, in which the comic plays Clayton Bigsby, a blind white supremacist who doesn't know he's black. Bigsby indulges in all sorts of gratuitous hate speech, bashing Latinos, Asians and blacks. He even goes to a KKK meeting dressed in a white robe and hood. Bigsby clearly doesn't know he's black. The joke, of course, is that Bigsby is in fact a member of the very group he so viciously hates. Bruce Sexton, who has been blind since birth, says it's natural for everybody — including the blind — to distinguish a person based on race. "I think that we do categorize and group based on the information that we have ... I come from a very diverse place and I still do group people based on their race, their ethnicity, their religion — anything, everything, really. Their education," Sexton says. "Maybe, as a disabled person, I think of it even more and I try to break free of the stereotypes that come with that grouping.